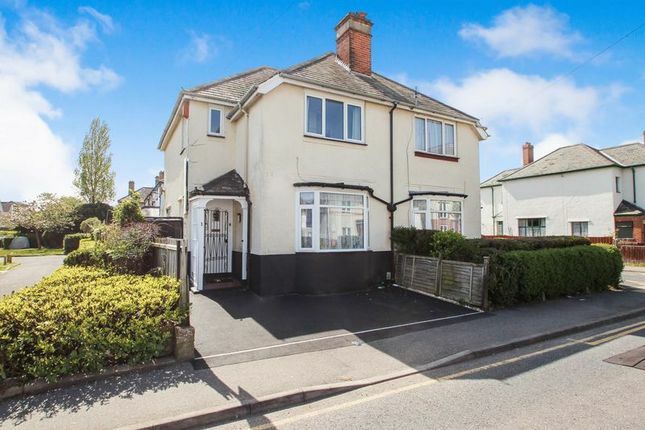 A wonderful opportunity to acquire a four bedroom semi detached house within walking distance to Bournemouth town centre. Internally the accommodation is arranged over two floors and comprises a modern kitchen, spacious lounge measuring 16'3 and separate dining room. There is also a shower room, downstairs W/C and utility/lean-to leading to the rear garden. Upstairs there is a modern shower room and four bedrooms. Outside is off road parking and a private rear garden. The unrivalled location provides convenient access to the town's numerous bars, shops, restaurant and boutiques. Bournemouth has the benefit of a mainline railway station from which London can be reached within two hours. You are also within walking distance of the town's beautiful beaches (approx 1.0 mile) as well as Bournemouth Gardens. Communications are excellent with the railway station and A338 close by. Textured ceiling, double glazed window to side aspect, stairs leading to first floor, radiator. Textured ceiling, double glazed window to side aspect, a range of eye and base level units, space for appliances, hand basin with drainer. Textured ceiling, double glazed window to front aspect, radiator. Textured ceiling, low flush W/C. Textured ceiling, shower cubical, hand basin. Textured ceiling, double glazed window to rear aspect, radiator. Textured ceiling, double glazed window to front aspect, storage cupboard, radiator. Smooth ceiling, shower cubical, low flush W/C. Off road parking, private rear garden.